Brainwashed - Peter Brötzmann/Heather Leigh, "Sparrow Nights"
Peter Brötzmann/Heather Leigh, "Sparrow Nights"
This first studio album from the formidable duo of Peter Brötzmann and Heather Leigh took me an unexpectedly long time to warm to, as it was not at all what I was expecting (skwonking and rapturous free-form flame-throwing). Instead, Sparrow Nights is something considerably more stark, novel, and challenging, unfolding as a uniquely surreal fantasia of alternately gnarled and lyrical saxophone passages over a disorientingly woozy and shifting bed of blurred pedal steel. That said, there are a few comparatively volcanic eruptions of catharsis to found as well, yet the true genius of this album lies primarily in its sprawling and immersive strangeness. As a cumulative and complete work, Sparrow Nights achieves the transcendent indulgence of prime My Cat is an Alien, leaving me feeling weirdly drugged, disoriented, and transformed by the time the last notes fade. That is not a particularly lucrative or instantly gratifying niche, obviously, but Sparrow Nights is more of a legitimate event than it is a mere album. It is always interesting to see what happens when multiple visionary/iconic artists with distinctive individual voices come together, even though the results generally tend to be rather underwhelming or forgettable due to time-constraints or lack of chemistry. At best, the result is usually an explosive improvised cacophony that I listen to just once or twice. Despite being disappointed so many times, I still find such pairings too enticing to resist, as every now and then an album like Sparrow Nights turns up and knocks me sideways. Well, not exactly like Sparrow Nights, as this is a one-of-a-kind opus–I am speaking more of a collaboration that offers something completely new rather than the uneven mashing together of two aesthetics. Notably, this album is not even all that similar to the pair's previous collaborations. A large part of that is due to finally recording in a studio, as the duo are able to express considerably more nuance and varying shades of emotion than would be possible in a live setting. However, it is also clear that Brötzmann and Leigh's years of collaboration have blossomed into something wonderful that can only be birthed from artists on the same intuitive wavelength. Trost colorfully describes Sparrow Nights as "cold-forged minimalist blues" and that is probably as apt as anything that I could come up with for this near-uncategorizable album, as long as one's definition of minimalist blues is broad enough to include someone like Jandek. There is definitely an uncluttered intimacy and simmering emotional punch to these recordings, even if they bear no resemblance to conventional blues in any structural way. The essence is what matters and Brötzmann and Leigh channel it beautifully. For the most part, Brötzmann sets up camp in the foreground and handles all of the heavy lifting melodically. There is quite a lot of variety to what he plays though, as he cycles through an array of different clarinets and saxophones and fluidly moves from sensual melodies to strangled howls to fluttering cascades of notes as the album's mood shifts. As his playing is characteristically and invariably inspired, the degree to which each of these pieces succeed is largely dependent on the beauty or lysergic otherworldliness of Leigh's foundation and how the two threads intertwine and interact. The most instantly gratifying pieces tend to be the ones where Leigh approximates some sort of shivering and shimmering slow-motion dream pop, as she does with the glimmering arpeggios of the opening "Summer Nights" and the lingering, quivering chords of "This Word Love." Most pieces fall into that vein, but Leigh breaks up her approach a bit with the stuttering, wobbling single notes of the title piece and the distorted, howling sustained tones of "This Time Around" (the latter almost sounds like she gave "Here Comes the Bride" the Jimi Hendrix "Star-Spangled Banner" treatment). Picking a clear highlight is extremely difficult, however, as the album feels like a mosaic painstakingly assembled from disparate fragments: the pieces all feel like ephemeral vignettes of varying lengths that are not meant to fully stand on their own. Further complicating matters is the fact that the vinyl and digital/CD versions of Sparrow Nights are radically different albums, as the latter includes ten songs rather than six. Notably, the four additional pieces do not feel like tacked-on bonus tracks so much as they feel like a continued and deeper descent into the album’s hypnagogic, reality-dissolving spell. 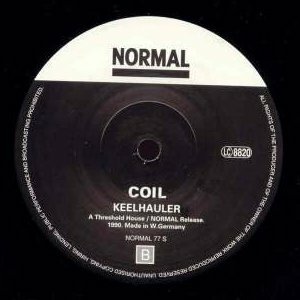 Thankfully, that dramatic difference does not create a serious predicament for fans, as Trost makes it easy to get the digital version along with the vinyl, yet it does present two very different listening experiences: a concise and focused selection of (mostly) the more melodic pieces versus a far more indulgent dive into darker and more hallucinatory terrain. For me, the latter is easily the superior album, as late album gems like "At First Sight" and "The Longer We're Apart" make a much more decisive break with reality and achieve a unique seasick nightmarishness. Admittedly, a full album of a pedal steel guitar being abused with such violent vibrato and relentlessly sliding pitches would probably be too overwhelming and mercilessly uncomfortable to take, yet the darkly ecstatic delirium of "The Longer We're Apart" is glorious final act to Sparrow Night’s long, slow, and mesmerizing descent into strange waters (it is like being enveloped in a mindfucking swarm of extra-dimensional bees). 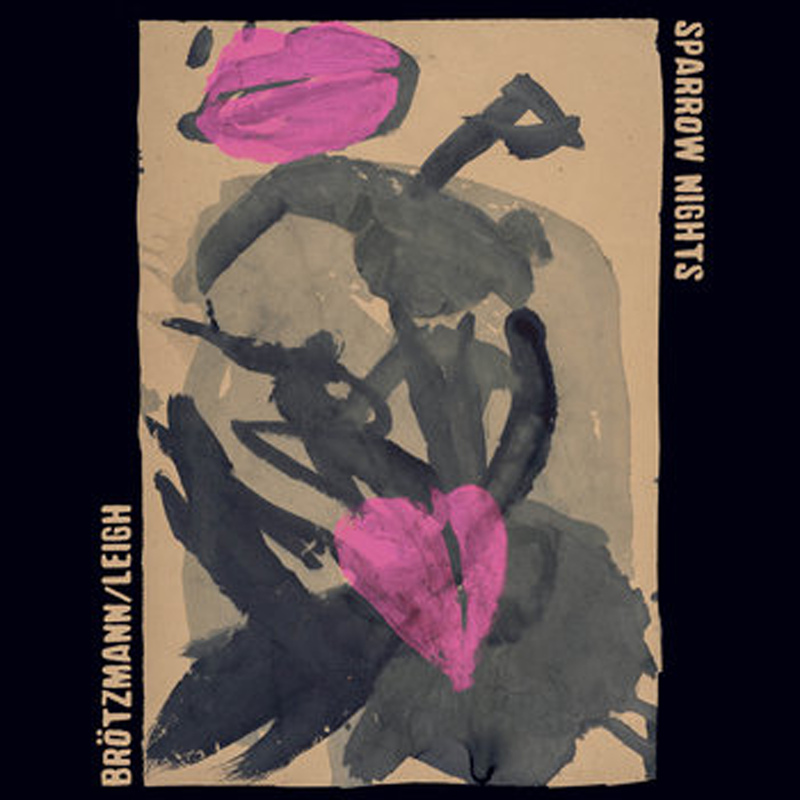 There are certainly great Peter Brötzmann albums and great Heather Leigh albums out there, and probably a number of great Brötzmann/Leigh live performances as well, but Sparrow Nights is something totally different than all of them. And at its most challenging heights, it is not much like anything else at all. That is a hell of an achievement.